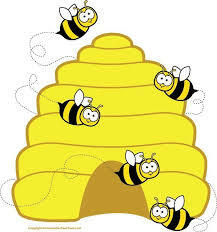 Lower School students have been busy bees……. We all celebrated Earth Day with a trip to the movies to see Disney’s new nature film, Born in China. It told the story of three animal families; Snow Leopards, Golden Monkeys and Giant Pandas. We had the theater to ourselves and all had a great time. Upon returning to school, we each made a pledge to respect the Earth, made a picture frame to remind us to be Earth Superheroes, and took a nature walk. Lower School got to participate in the Albanian visitors farewell with 1st and 2nd grade serenading all with a song to welcome spring. 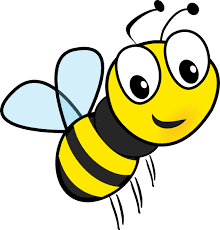 There is lots to buzz about so please keep reading…. Spring has most definitely sprung! We are continuing our unit on planting, and the children couldn’t be any more excited. In addition to everyone growing their own Wheat Grass, we also are watching Sugar Peas and Basil grow! We are in the midst of planting our own Kinder-garden outside as well. In language arts we are learning spelling strategies to help us write words. The children use inventive spelling, which is writing only the sounds that one hears. We are beginning to use some spelling rules. The children have also have been working on writing personal narrative and opinion stories. In math we have been learning about classifying, sorting, counting, and categorizing data. We continue to work on adding and subtracting. The shoe boxes that were sent in have been transformed into an environment chosen by each student. From the rain forest to the ocean, each diorama is absolutely a sight to see! The final weeks of school will be very busy for both first and second graders. Second graders will work on two math topics simultaneously with a strong emphasis on multiplication. They are continuing exploring multiplication as repeated addition. They have finished the Wordly Wise curriculum along with their spelling words and will now move onto 3rd grade spelling words until the end of the year. First grade has also finished their spelling curriculum and will move onto 2nd grade words until the end of the year. In math, 1st graders have been working hard on regrouping in both Addition and Subtraction. Both 1st and 2nd grades are exploring fractions as equal parts as well. Both grades LOVE the new Science curriculum! They enjoy the interesting experiments and more “hands on” approach. In our Social Studies curriculum, 1st grade is learning about landscapes while 2nd grade is focusing on local and national government. As a final culminating project, each grade will be responsible for a project, which will be presented in June. 1st grade will design a postage stamp and 2nd grade will construct a project featuring story elements as part of a food “buffet.” Second graders have been working on elements of writing including strong topic sentences, detailed sentences, and concluding sentences, which will help with the aforementioned report. A letter of specifics will be sent home along with a grading rubric for further clarification. I’m very excited to see what each student will contribute – they are a very smart, creative group! Third/ Fourth grade: Third quarter flew by! In third grade math we learned fact families and fractions using fraction strips, number lines and pictures. Fourth graders learned arrays, multiplying 2 digit numbers and division with remainders. Third grade scientists created amazing recycling projects such as a rocket, a truck, a plane and “fireworks” as well as completing the unit on living things with our bean experiment. Fourth grade scientists created sedimentary “rock and fossil” projects creatively using household items and learned about the ecosystem including our energy experiment with yeast. In writing, each student wrote a unique piece about either the climate or an animal typically found in Ecuador using their five senses, research and their creative imaginations. We were responsible for the hall bulletin board for March “In like a lion, out like a lamb” where each student made a lion and lamb project and wrote a poem. The April board represented Ecuador complete with the Andes Mountains, a rainforest displaying a monkey, butterflies and a bird, and the Galapagos Islands including, of course, turtles and real sand. We have covered eleven chapters in both grades in Wordly Wise to both improve our vocabulary and our spelling. In grammar we concentrated on all types of verbs in third grade: past, present and future. In third grade we are working our way through our second textbook reading stories such as “Yippee Yay” and “Boom Town.” In fourth grade a reading highlight was the “Kids Invention” story which really inspired some of our students when creating their own inventions. Celebrating Earth day at the movies was a highlight for all! In Fifth grade we started the month of April by celebrating, “Poetry Month.” Students learned about various types of poems such as a Haiku, Cinquain, Diamante and Color Poem. Stop by the bulletin board on the second floor to read some masterpieces. Of course, no poetry unit would be complete without the reading of The Giving Tree and some other gems by Shel Silverstein. In reading we have started the novel, The Westing Game, written by Ellen Raskin. It is a mystery and tells the story of the eccentric businessman Sam Westing and the secret of his death. Students are enjoying putting on their “sleuth” caps and trying to solve the mystery. The book is a Newberry Medal Award winner so I am enjoying the students discovering all the different literary techniques used by the author. Students have been really “energized” by science lately. 5th grade students were recipients of a special program by conEdison. Each student received an energy and money saving toolbox that contained an “Earth” friendly showerhead, light bulbs, thermostat and a water aerator. In addition, each student was given a workbook with lessons on how to use these items in their household. I would like to thank the 5th grade parents who worked with their children on making these changes; it led to great classroom discussions. We have been working with fractions in math and have just finished learning how to multiply and divide them. We are now ready to embark on our geometry journey. The buzzing does not stop here! May 22nd: Ramadan Celebration for grades K-5 hosted by our very own Abdullah Family. May 23rd: The S.T.E.M. Bubble Show which will mix comedy, music, science and even some magic at the Queensborough Performing Arts Center. May 29 – 30 School Closed for Memorial Day.